1. Drink lots of water, especially at particular times in the day. Everyone knows they should be drinking more water, but there are also certain times that it is best to drink it. 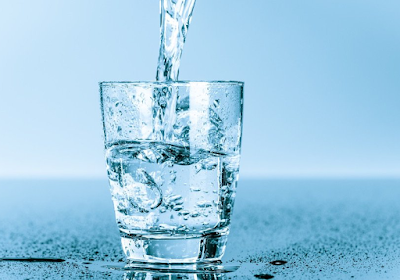 Drinking a glass and a half of water (18oz) before a meal has been shown to help dieters lose 44% more weight (study). It has also been shown that drinking a glass of water boosts metabolism by up to 30% (study). Coffee has many health benefits and is rightfully referred to as liquid gold. 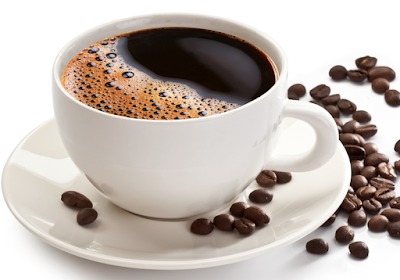 Coffee is full of antioxidants, and scientists have identified over 1,000 different antioxidants in coffee beans! It has also been shown to boost metabolism by 3-11% and increase fat burning by 10-29% (study). Make sure you’re getting an organic coffee blend that is free of pesticides and dangerous carcinogens. 3. Eat foods with cayenne pepper. 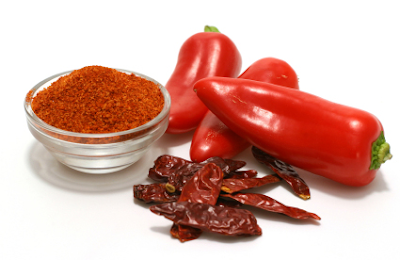 Cayenne peppers contain capsaicin that can help with weight loss. This compound boosts the body’s metabolism and curbs appetite for better craving control (study). The easiest way to get more into your diet is through adding hot sauces to your meals or sprinkling light amounts of ground cayenne into a meal. Be careful though; it can get really spicy really quickly. 4. Go to bed early. 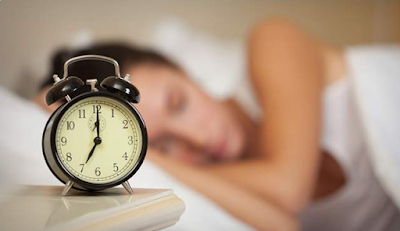 Another underrated tip for losing weight is going to bed earlier and getting better quality sleep. Lack of sleep and obesity are highly correlated events with an 89% increased risk in children and a 55% increased risk in adults. The keys to getting a good night sleep are keeping your room cold (under 70 degrees), blacking out all lights to make the room pitch black, and not using electronics 1 hour prior to bedtime. The single most harmful ingredient in the modern diet is added sugar. Sugar is strongly associated with type II diabetes, obesity, heart disease, and many other dangerous diseases caused by weight gain (study). Cutting out added sugar (fruits are fine) is one of the most important steps in healthy weight loss, and if you feel like you’re struggling to accomplish this, I recommend our Fat Loss Challenge that starts out with a detox. Simply adding protein into your diet and not changing anything else is one of the easiest ways to lose weight. A high-protein diet boosts metabolism by 100 calories, and participants who ate more protein consumed 441 fewer calories in their day ( study). The best sources of protein for your health are salmon, lean organic chicken, whole eggs, and a good tasting whey protein. There are also plenty of protein options for non-meat eaters as well. 7. Keep insulin down by avoiding refined carbs. Refined carbohydrates like sugars and white grains cause a large spike in insulin and blood sugar. This leads to increased cravings and an increase in food consumption. Plus, refined carbohydrates have been linked to obesity in multiple studies (study). The key is to consume fiber with carbohydrates in their natural state. Foods such as brown rice, whole potatoes, and fruits are good carbohydrates because their fiber prevents this blood sugar spike. When losing weight, the body will slow down its metabolism in response to dieting. Weightlifting is a great way to combat this problem because it adds lean muscle and keeps the metabolism high even when dieting (study). 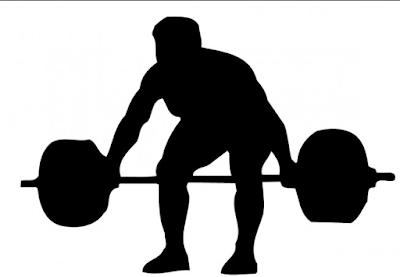 Lifting weights 2 times a week is all that is needed to get the desired effect. 9. Drink matcha green tea. Matcha green tea is an excellent weight loss solution because of its effects on metabolism, appetite control, and fat burning. It also contains catechins, which enhance the fat-burning effect of the caffeine (study). Drink it in a cup of water or add it to a smoothie, which has the same effect. 10. Never drink your calories. Sugary sodas, fruit juices, and energy drinks are a few of the worst weight loss offenders in the modern diet. Fruit juices such as orange juice, apple juice, etc. 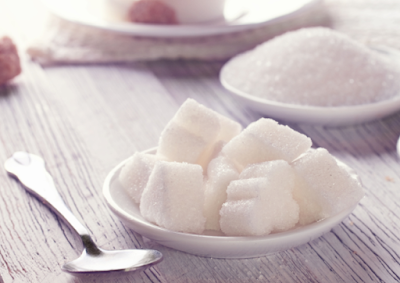 have nearly identical amounts of sugar compared to soft drinks (study). Get fruit from whole and natural sources and energy from a warm cup of black coffee instead. 11. Use a food diary. Raising awareness of the foods you consume is a great way to enhance weight loss. Multiple studies have shown that people keeping food and goal journals eat fewer calories (study). The easiest way to keep track is on your phone with myfitnesspal, or you can create an Instagram account to keep up a food log. 12. Eat slowly, and savor your food. It takes 20 minutes for the stomach to communicate with the brain and indicates that it’s full. Studies have shown that eating food slowly increases weight loss hormone production and causes a decrease in consumed calories (study). Take at least 5 slow bites, savoring every last flavor and enjoying the food before swallowing. These fats boost metabolism by 120 calories per day, and also reduce appetite, causing people to eat up to 256 fewer calories per day (study). 13. Grab a whey protein drink. I stated the importance of getting enough protein in your diet once on this list already. It really is THAT important. Whey protein is one of the easiest and cheapest sources of protein in the world. Replacing other calories with this drink can cause 8 pounds of weight loss and increase lean muscle mass (study). Our friends at Healthy and Happy Hour recently wrote a good article on the 5-Best Tasting Protein Powders for Women. It’s not rocket science, but this is a fact backed by science. 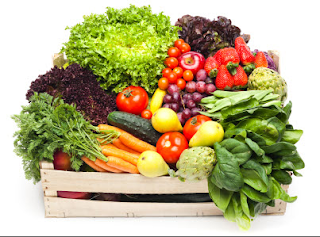 Vegetables contain fiber, water, are nutrient dense, are low in calories, and people who eat more of them, not surprisingly, weigh less (study). It’s hard to go wrong with vegetables, but focus your attention on eating dark, leafy vegetables at every meal as they are the most nutritious. 15. Don’t “diet.” Eat healthy instead. The problem with most “diets” is that they do not work in the long term. Studies even show that dieting is a consistent predictor of future weight gain (study). Spend more of your time focusing on eating healthy foods than being on any sort of restrictive diet. 16. Use portion control containers. 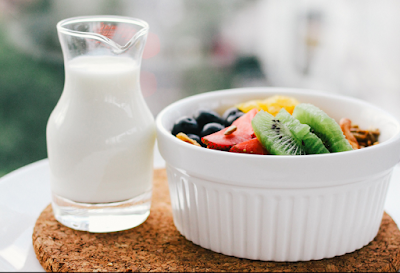 A fun little trick on the brain to eat fewer calories is to use small containers for your meals. You can actually use these containers to ensure you’re getting a balanced meal every time! It’s strange, but it seems to work, causing individuals to eat considerably less food (study). If you are buying a plan to ensure you get your water absorption and diet on track, look no further than our 7-Day FAT REDUCTION Challenge. People lose typically 10-21 pounds in 7 days and absolutely love it! But even better than the weight loss is the feedback we get from people about how the program has trained them how to improve their eating habits and find a diet plan that truly works for them in the long-term. We have over 3,000 people inside our private support group going through the Challenge along, and every day they can be sharing encounters, results, motivation, and lots of recipes! If you are ready to make some changes in your life, this is actually the ONLY place you should start. We will teach you exactly how to help make the necessary changes in your diet and your lifestyle and how to keep them "beyond the dietary plan." Leave a comment below if you appreciated this information or have any questions! Spine (Spine) for the purpose of "yoga poses"are flexible. It is often found in individuals who are flexible spine, the more healthy and disease-free life to live. Today we make the spine flexible crucial yoga ' Paschimottanasana' giving information. to bend forward after this asana practice it has been found that the person experiences a change in yourself. There are more difference in their health and temperament. He becomes a more sensible and receptive. More information is given below on Paschimottanasana "yoga poses"
A clean, flat place mat or rug to spread this simple practice. Palms Thighs placing feet on the front side sitting spread. Keep both feet planted near each other. Taking his hands raised above the head to breathe. Now slowly bend forward with hands, feet, tries to catch the thumb. Forehead (Forehead) Let's touch the knees. Elbow holding thumbs feet from the ground to try to. Capacity put Bring down the body raised and hands. Raising his hands and bow before the expiration time to breathe. Bowing term knee is likely to come up. To try to keep the knees straight. thigh stomach more beneficial to practice putting. Practice time gradually extended its capacity. To get maximum benefit to empty stomach. Waist and hip muscles to strengthen. If the spine becomes flexible and strong. Frozen on the stomach reduces the unnecessary fat. Obesity, constipation, indigestion, hemorrhoids, etc. have to get rid of. Menstrual disorders in women are away. Anger over the persons are helpful in reducing the rage. Tilting the pelvis sudden shocks or should not take. Do not attempt to force the head to the knees. Its capacity to seat only. Upon exercise of the simple interval gradually extended. Severe back or spinal problems, consult your doctor or Yoga Poses expert to take it easy. "Paschimottanasana" also called the Forward Bend "Yoga Poses". After headstand yoga are considered the second most lucrative. Healthy life and to achieve quiet the mind from today to begin the practice of Yoga Poses.